When the British ruled India, Mohandas Karamchand Gandhi, or more affectionately known as Mahatma Gandhi, led a series of non-violent protests. His actions continue to echo today, as we celebrate the United Nations Day of Non-Violence on 2nd October, which coincides with Gandhi’s birthday. On this day, we reaffirm the use of non-violent strategies in addressing the issues of justice and human rights. 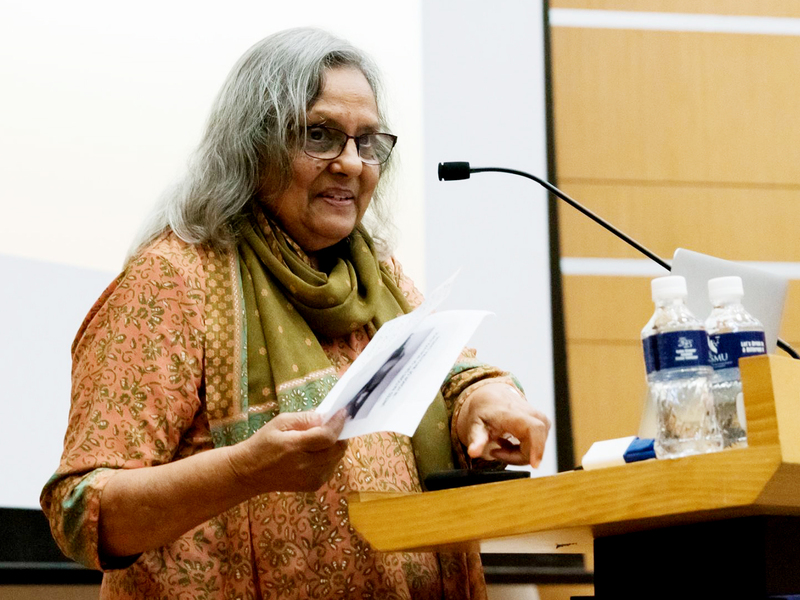 In her presentation, Ela Gandhi shared that the “observance of non-violence did not mean that communities suffering oppression must not raise their voices against oppression… [Rather, they] confirmed that issues of justice and human rights must be addressed through the use of non-violent strategies… [Any destructive course of action would only result in] the next generation [having] very little if anything to survive on or to survive for”. Gandhi’s philosophy is thus still relevant today in addressing the current challenges facing humanity. Rather than vanquishing our opponents, Gandhi reminds us to “win the opponent over, through patient persuasion and discussion”. This allows space for understanding and compromise. As Gandhi responded when charged with agitation against the State in 1922, “Non-violence is the first article of my faith. It is also the last article of my creed”. As part of civil society, we too play a meaningful role in reinforcing this non-violent principle. One way is to realise the role the media plays in shaping our attitudes towards non-violence. Besides educating and informing us through giving unbiased accounts, the media has the potential to mobilise people, “linking them on issues of concern to all and organize them for nonviolent action”, Ela Gandhi mentioned. Let us spread the message of non-violence far and wide, and continue to build societies that embrace the principles of non-violence. As Gandhi once said, “be the change you want to see in the world”.